Kerrie and John Fleming commenced trading in late October 2017. 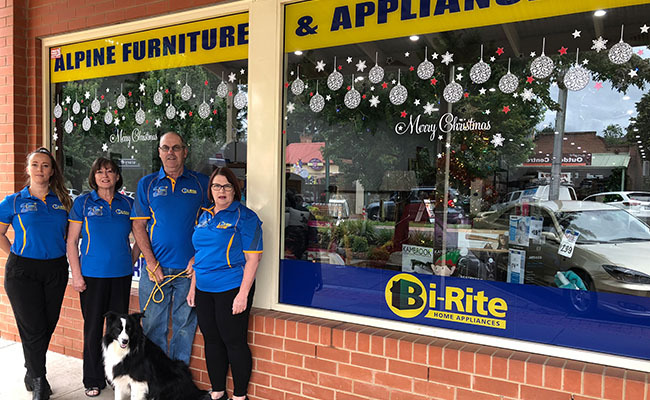 Kerrie and John are both born and bred locals with a long history in the area,,and live on a cattle farm just down the road in Eurobin. Besides electrical appliances, big and small, we also have furniture and mattresses. We service a wide area, taking in the local ski resorts and local townships of Bright, Porepunkah, Harrietville and Wandiligong. As the area is a tourist mecca, our customer base is varied.